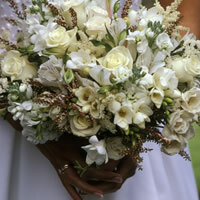 Lilly's Events is a Professional Wedding and Event Planning company serving the South Shore and Cape Cod. Be it the wedding of your dreams, or the party of a lifetime, Lilly’s Events will customize your event to meet your desires and requirements, down to the smallest detail. Lilly’s Events will help your event dreams come true. Specializing in Wedding’s, Milestone parties, and Family reunions Lilly’s Events professional staff will help you every step of the way.